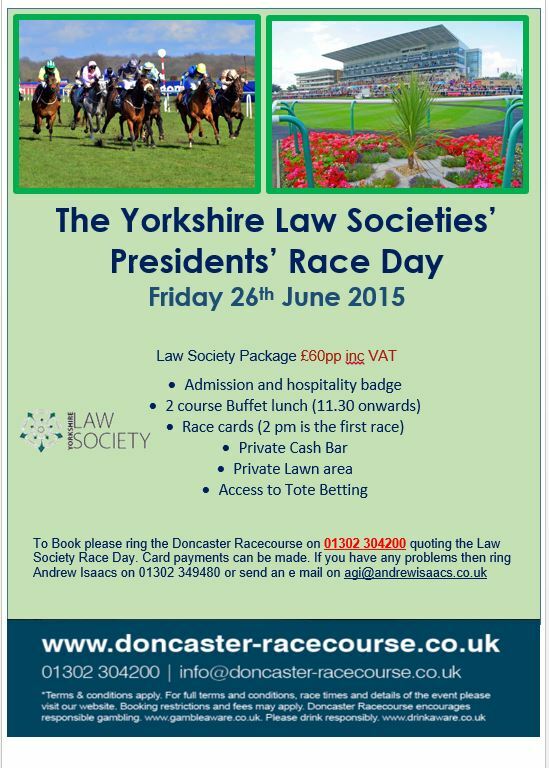 Doncaster Law Society have launched the Annual Race Day event which this year takes place on 26th June at Doncaster Race Course . The popular event should see Lawyers , Accountants , Estate Agents and other Professionals and Clients coming together from across the County . The event includes Admission , RaceCard , a two Course meal , Private Bar and Tote with access to a private lawn area to view the racing . We look forward to seeing you for a great days racing !